Are you struggling to link to a vCard from a QR Code? In the online and business world vCards are an incredibly useful tool. You may recall in days gone by everyone and their mother was adding them as attachments to every email (for better or worse). While this may have been met with mixed results, today people carry their entire rolodex in their pocket so the need to get your info into their contact list as quickly as possible is essential. So the need exists to create a simple, one-click solution for adding your contact info into their phone. 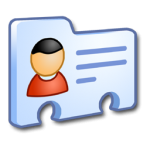 That method is the vCard—which is simply an electronic file which stores all your personal info like name, phone, email, website(s), even a photo. Unfortunately despite their record for making life easy and simple for millions, surprisingly Apple has made linking QR Codes to vCards almost impossible. Search google for “vcard on iphone” to see the results for yourself. Most will tell you it is not possible to download contact files (VCARDs) directly to your iPhone from a web page using Mobile Safari. So previously there’s been no way to use a single system to create a vCard and link to it via a QR Code. Well – Qfuse has changed the game and now supports linking to a custom, dynamic vCard which you can give to your clients or vendors. The QR Code links to a mobile landing page displaying a link/icon to download the vCard. So you can now add a QR code to the back of your business card which will allow folks to add your contact info to their list of mobile contacts with a few clicks. 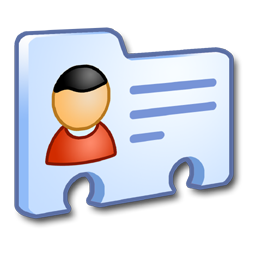 Try Qfuse out today for free and make it easy for people to add you to their Contact via a vCards and a QR Code. I really Imressed read this Blog!! !